UpFront with NGS: Attic archaeological dig reveals family history -- Is your attic or basement a treasure trove? Attic archaeological dig reveals family history -- Is your attic or basement a treasure trove? I will say that I often like to think of my attic as a treasure trove versus just reflecting that I’m a pack rat. In my case though, probably the latter more than the former is true. After all, a house built in 1993 and not inherited from family isn’t seasoned enough to require an archaeological dig as described in this Wiscnews.com piece, Attic archaeological dig reveals family history. And, some family members do live in houses which have been in the family for 100 or more years – I bet those attics have some neat things! 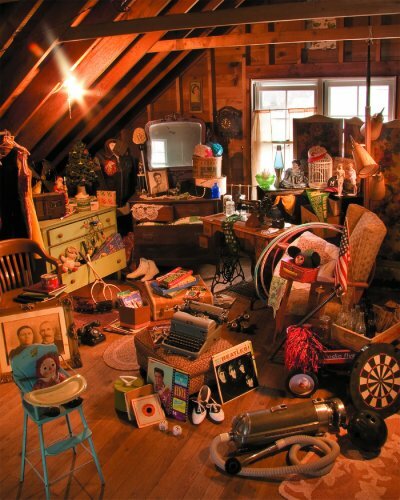 Family Treasures: What’s in your attic? Have you done an archaeological dig in a family member’s attic or basement? Did you find something completely unexpected and invaluable? If so, please share! Happy Valentine's Day from NGS!